My hapless tryst with long weekends are no mystery and there was nothing new this time as well. But the only good thing about the whole trend is, in the end it aways works out. The universe indeed conspires for me. 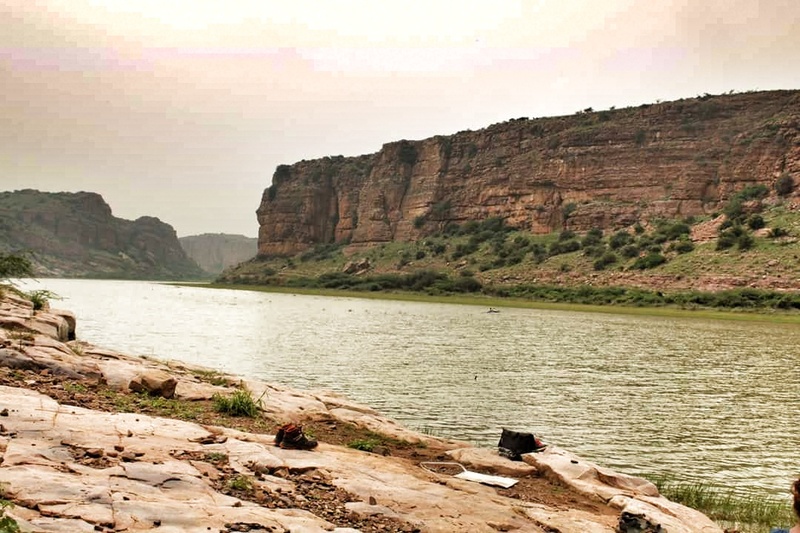 I wanted to visit Gandikota since a very long time. After my visit to Hampi I have developed a lot of inquisitiveness around ruins. And I thought Gandikota would be a good add on. But I never knew that there would be an adventure angel involved with it until I came across Freakouts Adventure. 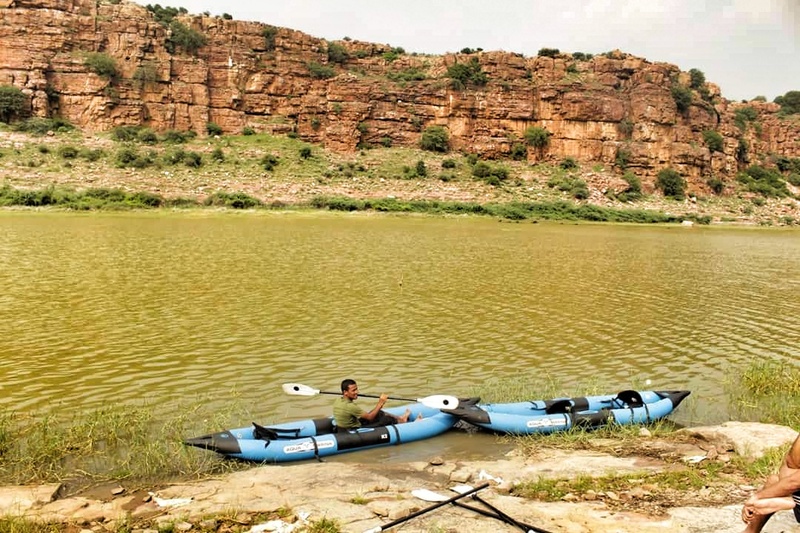 After a couple of email exchange I was all set to embark on an adventurous trip in Gandikota. After a not so pleasant rickety bus journey I reached the revenue division of Kadapa district called Jammalamadugu. I still have to google the name (for correct spelling) and it took me a while to get the pronunciation right. 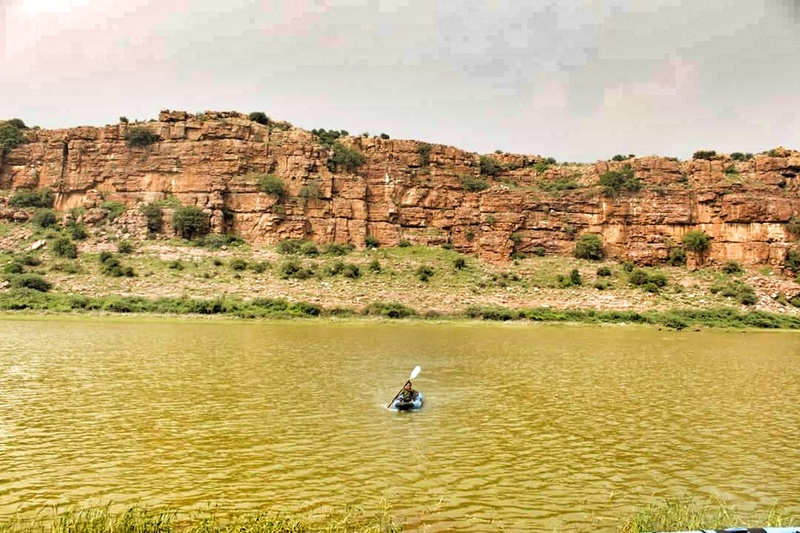 Gandikota is another good 15 kilometers from Jammalamadugu. To my surprise the roads were in good condition and I reached the venue in a breeze. As I reached I saw camps in the hotel lawn and I was excited already. Putting up in a hotel room is so passe. Next I met Satya from the Freakouts team. 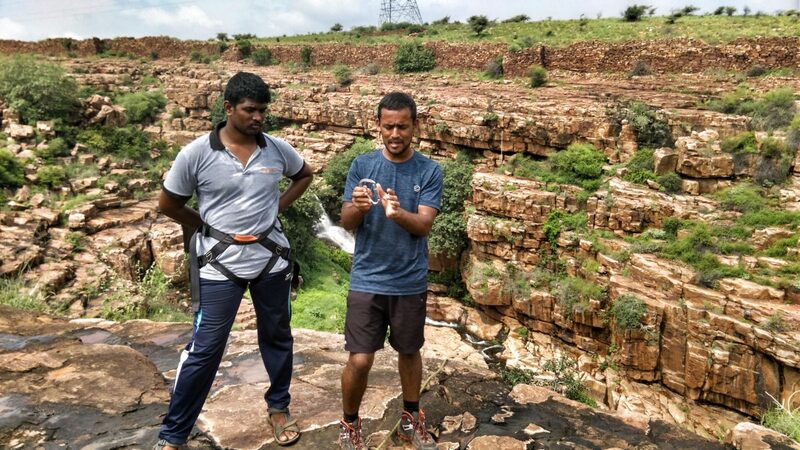 He was our main instructor for all the adventures in Gandikota. I saw him coming with a huge smile and bottle of water and I liked him instantly. As per the schedule I still had sometime to begin so I decide to crash in for a while. The first in line was Kayaking and the location was river Pennar. Given our location the river bed of Pennar I knew we had a long downhill journey to cover. In the blazing sun with a water bottle in one hand I (along with a small group) began the strenuous walk towards the river. From a distance the boulders might look interesting and intriguing but they aren’t friendly for sure. Climbing on a big boulders, stepping down from the small ones, flicking away the thorn adorned shrubs and peering our way out through dense Acacia (commonly known as Babool trees) trees we finally reached the Pennar river side. Satya gave us the demo and explained all the necessary safety guidelines. Due to paucity of rains, depth of the river was merely 4-5 feet, a sign of relief for me. I am not very pro water sports, yes I have aquaphobia but I knew I was in safe hands. The moment our kayaks were in the river, it felt as if we had been transported to some place pleasant. Suddenly the scorching heat was replaced by cool breeze. Both the riverside were guarded by the huge boulders of the gorge keeping off the sun. I couldn’t get the right movement of blades even after a lot of struggle. Yeah it was moving and I could boast that it was all me (as if you will know) but it wasn’t. It was moving with the flow of river and I had to put in a lot of strength to row is against the flow. Like I needed another mettle test in my life yet here I was. It was my first time trying hands at Kayaking and the experience was totally sublime. After we all got done getting back to the camp was another uphill task. We had to climb the same way up with the only difference of being enervated and drained out. The next exciting thing in store was shifting our camp location. I then got to know we will be spending the night inside a jungle and our tents was already plotted there. It was raining, thundering and lightening and I could see the streaks of lightening right from my tent. At one point it got a little scary but then Satya did a good job distracting all of us with his adventurous stories. Rappelling was on next day’s list. 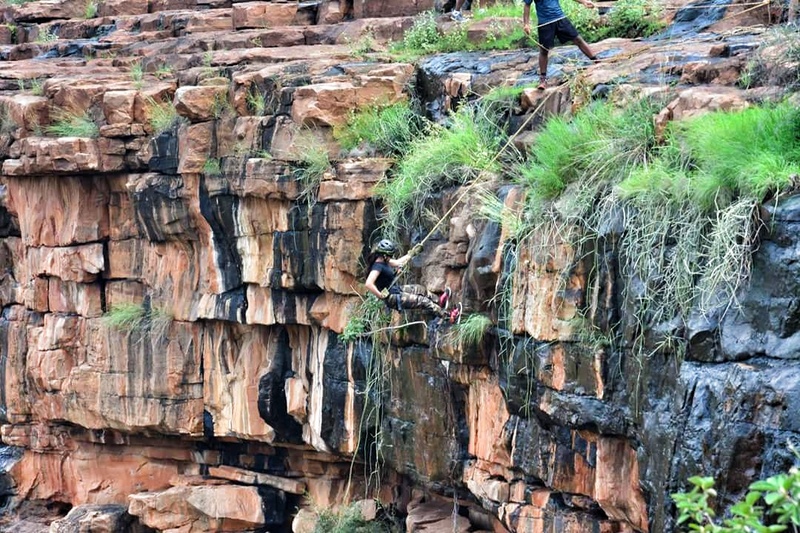 Unlike kayaking for rappelling we had to climb up to the top of the gorge. We started after breakfast and reached the top at the expected time. We climbed up and down on all size boulders, crossed water streams, at times brisk walked and at times totally looked like a funambulist. While we all were catching some breath Satya got busy in set up. Satya then explained us all about rappelling in a comprehensive manner. All about ropes, carabiners, knots and techniques. Special attention to safety was given while explaining the drill and then came the show time. I volunteered to go first because I was the most excited (guess so). Though we were at a good height but it got over pretty quick, before I could get any adrenaline rush. It was easier than I thought, all you need to do is to pay heed to the pace of releasing the rope and your body posture. 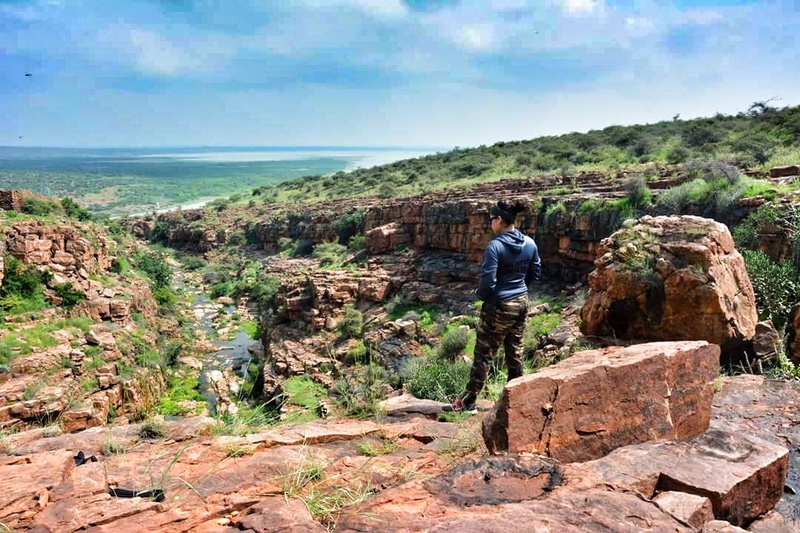 I am so glad that I decided to club these adventure activities with visiting the ruins of Gandikota. 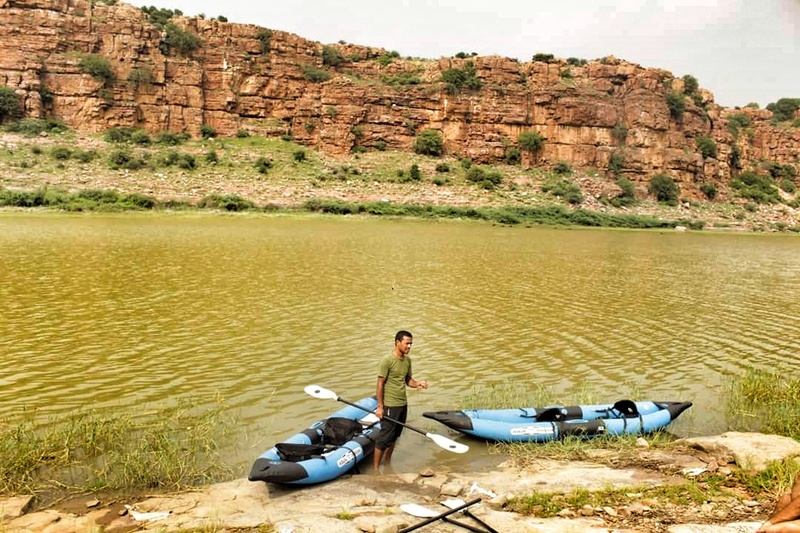 Also I did all these activities under the expert guidance of Freakouts Adventure and if you are looking for some adventure in Gandikota I totally recommend them. Freakouts Adventure assists you in finding offbeat locations for spending time in solitude or with your loved ones. 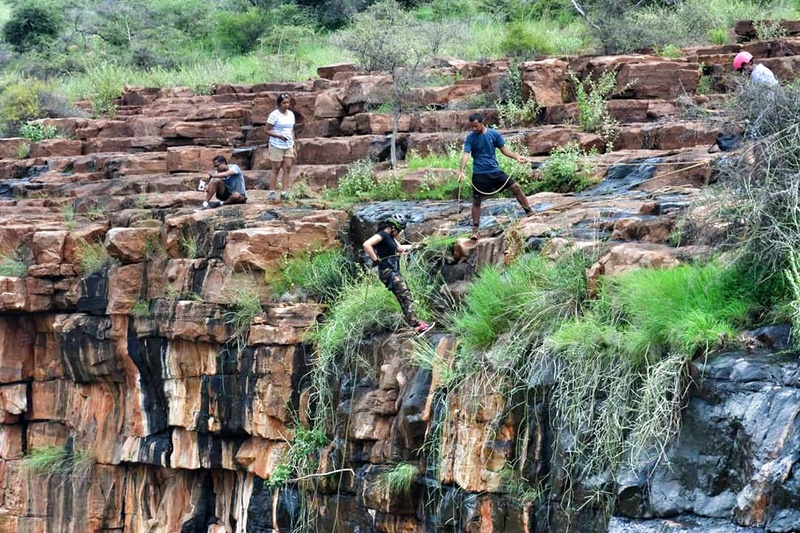 They provide adventure services which includes kayaking, rock climbing, rappelling, bouldering, off roading and many more. The company also caters to corporate day outing and adventure activities. 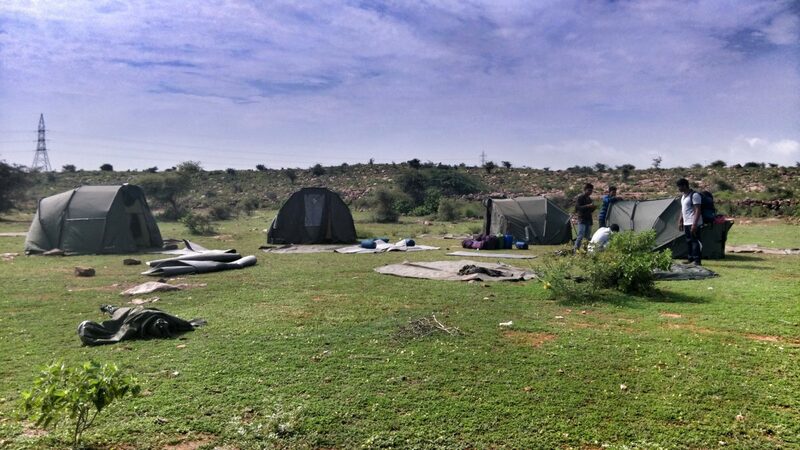 They have numerous camps in and around Bangalore, Hyderabad and Chennai. Know more about Freakouts Adventure at www.freakouts.com . Wow! Was that you who was doing mountain climbing? Stunning! Loved the landscape shot of river pennar! I am nominating you for “The Mystery Blogger Award” under the category of Travel/Photography. Check out the below link for additional details. It was a pleasure to get to know you during MFA campaign! Fitbit launches its health bands in India ! #CatchUpOnGrowth With Horlicks Growth+ !